Looking for a Complete Guide to the Instagram Algorithm? You’re in the right place. Are you frustrated that your organic reach on Instagram has decreased? Are you upset that your engagement has dropped? You probably know that it is because of the Instagram algorithm. No matter if you’re a regular Instagram user or someone who uses the platform every now and then, the algorithm is something that has affected you – whether you know it or not. In fact, Instagram’s algorithm feed – also known as “Instagram algorithm” is Instagram’s biggest update since the platform launched in 2010. Inevitably, a lot of confusion will be created, and questions will be asked, considering the fact that the update is affecting such a large number of people. More exactly: over 1 billion of them. Even though the algorithm was introduced quite some time ago, there are still plenty of unanswered questions, myths, and confusion around it. As a social media addict, I see it as my duty to guide you through all the questions you might have. As a result, I’ve taken on the challenge of writing the most thorough Instagram Algorithm guide to date. Since we got no time to waste, let’s dig right in! What is the Instagram algorithm? I am still amazed that this question is still being asked all around the web. And to me, it’s a sign of bad communication from Instagram’s part. Simply put, they haven’t given their users enough information about the huge update and what exactly it means. At the same time, it’s probably partly intentional, because Instagram doesn’t want their users to start using the platform in a different way just because they introduce a new feature which they have no power over. Also, I am not complaining. That just gives me the opportunity to try and explain it in the best way possible, and that’s why you’re here, isn’t it? What is the Instagram algorithm, and what does it mean? 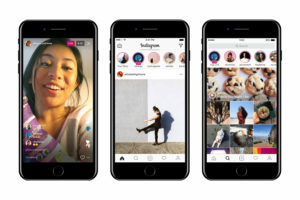 On March 15, 2016, Instagram announced that within the coming months, users would see a huge change in the way their content was displayed on the platform. 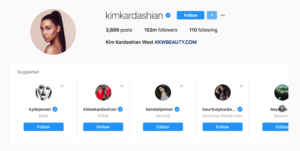 The change meant moving from the chronological feed that Instagram had been using since its birth and moving to what would now be an algorithmic feed. The two names are quite self-explanatory. The chronological feed and how it worked was very simple. The latest posts uploaded from the people you follow are displayed at the top of your news feed, and the oldest posts from the people you follow are displayed at the bottom of your feed. In other words, in a chronological order. That way, you were presented with the latest, most fresh content every time you logged in to your Instagram. With the algorithmically based feed, it is completely different. First of all, the concept isn’t simple. The are behind the way the content you see in your feed is very complicated, and only Instagram themselves know exactly how the algorithm works in detail. In fact, the content you now see in your feed and the way it is sorted is based on a highly advanced algorithm, and today, with the new algorithm, you won’t be able to draw a clear conclusion and have a hard time finding a connection between what content you see in your feed and what time it has been posted, because really, the time a post has been shared isn’t a major algorithm ranking factor, and Instagram hasn’t been open with how time affects how posts are presented in your feed. They did say one thing, though, which I’ll go into more detail about further on. When it comes to time, you can get posts that have been shared many many hours ago – or even days ago, presented at the very top of your feed, and the latest posts from people you follow at the very bottom. Considering that Instagram’s leading words and main idea always have been to ”share content on the spot” and ”in the moment”, some might find it strange Instagram have chosen to change their feed. How the algorithm works in exact detail, we’ll dig into shortly. Why did Instagram launch algorithmic feed? According to Instagram, the average Instagram user misses 70 percent of what’s in their feed. This includes amazing photos with tons of engagement shared by their closest friends. Obviously, 70% of content isn’t created to disappear in the immense noise on Instagram. The takeaway from this is that Instagram’s new algorithmic-based feed is all about relevance. While the average Instagram user misses 70% of its feed, only a small portion of the remaining 30% is highly relevant to the user. The goal of the new algorithm is therefore very simple: To remove the irrelevant content from your feed and only show the content that you care about, and that really matters to you. If there’s one word that explains the algorithm, it’s relevance. As the number of Instagram users has grown on Instagram, so has the number of posts being shared daily. And unless you’re constantly refreshing your newsfeed, it will be impossible for you to consume all that content. By filtering away all the noise and the posts you don’t care about, the end goal is to make sure you see 100% of the content that is displayed in your feed. Plus, find 100% of that content relevant and interesting. Instagram’s new algorithm has not only been faced with compliments, hugs, and roses. In fact, it has been faced with more criticism than happy faces. A petition was created against the algorithm with the demand “Keep Instagram chronological” and was able to accumulate 343,014 supporters. This just shows how widespread the anger towards the algorithm really is. Since you are here, I am taking the freedom to assume that you’ve already noticed the change in your feed and that you have an opinion about it. As a new user, it’s impossible to have an opinion because you’ve never experienced anything else. Especially if you initially come from Facebook, which, essentially has gone the same path that Instagram will take. However, as someone who has been a regular user of Instagram since 2012, I can personally say the differences are enormous. It’s like when someone goes from having brown hair to blonde. You recognize them, but it looks completely different. 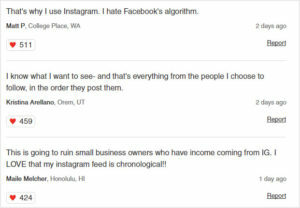 Now, you might believe that people are only upset about the algorithm because humans don’t like big changes in general. And that might be the case to some extent. But. The controversy and ”anger” goes much deeper than fear of change. If you’ve been using Facebook regularly, you know that their organic reach has declined year after year, reaching a point where it is lower than ever. This means an organic reach that is almost non-existent. What does this have to do with Instagram, you may ask? The truth is a lot. In 2012, Facebook bought Instagram for $1 billion in cash and stock. Shortly thereafter, they introduced the algorithmic feed on Instagram. When Facebook first was launched, they also had a chronological feed – until it was changed to an algorithmic one. Can you see that the story is repeating itself? This is where the controversy comes in..
Facebook has got a ton of complaints and accusations towards them, where people are accusing them of limiting the organic reach, forcing brands and people to pay in order to be seen. By limiting the organic reach on Facebook, more people are forced to purchased marketing and ads in order to get seen, and Facebook earns more money. Whether these allegations are true or not, I leave that up to you to decide what you want to believe. 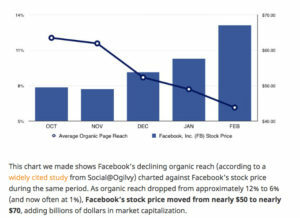 But this graph that shows the relationship between Facebook’s declining organic reach and increased revenue is quite interesting. While Instagram has a lot higher organic reach than Facebook, Instagram is expected to walk the same path, replicating Facebook’s strategy. After all, Facebook is the world’s biggest social platform, so it doesn’t exactly leave us wondering why they would try to replicate that success with Instagram. The anger some people have towards the algorithm seems to not only be because they think Instagram wants to make more money by limiting the organic reach, and deciding not to showcase people’s posts in users’ feeds. In a blog post written by Amy Tori, published on Huffington Post, the writer explains her anger about the algorithm, and what she thinks is problematic about it. Of course, this is very true. The reason you choose to tap ”Follow” on a profile is that you want to get their posts in your feed. And the reason why they introduced the Instagram algorithm, is that Instagram themselves saw that a problem was evolving on the platform, and this was that people just didn’t have the time to consume all the content in their feeds, even if they have clicked the follow button. Because when you follow too many people, eventually, it will be impossible to stay updated with them all. One of the most important factors when Instagram decides what is relevant to you is what content you engage with. For example, when you like and comment on posts from a particular account over and over, Instagram takes this an indication that the content is relevant to you. But the writer explains a big flaw with taking engagement as an indication of relevant content. She means that there is a lot of content that you’re ”obligated” to like and engage with, for example, content shared by your relatives. While you don’t necessarily find those posts appealing you “have” to like them. She also pointed out that the type of content you really want to see, but don’t necessarily want to engage with, in fear of getting ”busted” by people you know such as post from controversial people who post controversial or ”inappropriate” posts will never be displayed in your feed. 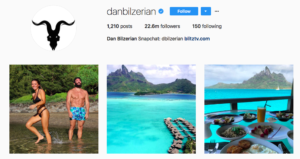 From people like Dan Bilzerian. Her conclusion was that the following: What you’ll end up with is boring images from your relatives that you don’t really want to see. You just engage with them because you feel like you have to. And this doesn’t make anyone happy, does it? Is the Instagram algorithm bad? As with everything, there’s no right or wrong. Some people think it’s great, some people hate it. My job is to present the facts so that you can form an opinion. It is true that the content you share will receive a lower engagement because Instagram won’t present it to all of your followers. However, at the same time, if the algorithm does what it is supposed to do, you’ll end up with content that you’ll enjoy more in your feed. Instagram has obviously created the Instagram algorithm with the user in mind and giving them as good of a user experience as possible because they’re dependent on their users to make money. It’s not like they sat on Instagram and asked themselves how they could make the user experience worse. Also, since the posts that are presented in your feed are more relevant, the people who will see your posts will be more engaged in what you post. A good thing is that before the algorithm, your feed got completely clogged up when someone you followed decided to post several images over a short period of time. Thankfully, the algorithm helps battle this problem as they won’t showcase them all in your feed. How does Instagram decide what you see in your feed – How does the Instagram algorithm work? For a long time, nobody outside of Instagram knew exactly how the Instagram algorithm worked. The good news is that as time has passed, we’ve gotten a better and better understanding of the algorithm, which ranking factors for content it uses, and how it works in detail. Additionally, Instagram has been very secretive about how the Instagram algorithm works – until the company assembled a group of reporters at its office to take the lid off the Instagram feed ranking algorithm and be more transparent and open to how it works. Of course, they haven’t gone into the nitty-gritty details of the algorithm, but they have finally given us quite some information about how the algorithm works. How does Instagram decide what you see in your feed? First off, Instagram themselves said that the main goal is to help you see content from your “friends and family” with the algorithm. This is obviously because, in first hand, this is what Instagram believes that you’ll find the most relevant and interesting. As such, they reported that with the Instagram algorithm, people now see 90% of posts from their friends and family, as opposed to 50% when the chronological feed was in place. Additionally, users now spend more time on the app. As we talked about earlier, Facebook now owns Instagram, and since they’ve had such a huge success with the way their algorithmic feed works, chances are they’ll be looking at replicating something similar – but not do it dramatically overnight. Of course, there are also a number of other signals, but these are the most important and impactful in ranking and sorting content in your feed. Living after the quote ”Never change a winning concept”, it’s clear that they are using a similar algorithm for Instagram – they’ve just tweaked it a little. 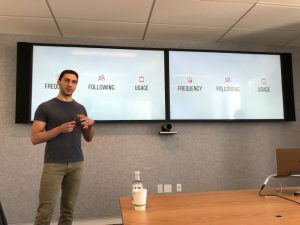 Just like Facebook’s algorithm, very few outside of Instagram knows how it really works down to the tiniest details, but thanks to their presentation, we know quite a bit. Shortly summarised, the goal of the Instagram algorithm is to show you the most relevant content from the most relevant accounts that you follow. But that doesn’t exactly tell us a lot, about how it works, does it? How can they know what you like? Thankfully, I don’t come without any information at all. Luckily for us, a spokesperson shared to BusinessInsider some of the criteria that the algorithm uses to rank the content in your feed. Let’s break them down and see what they really mean. All of these essentially fall under the same category and ranking factor more or less. This factor mainly focuses on what type of content you engage with. In Instagram’s eyes, what content you engage with (how often and in what way etc.) reflects the relationship you have with that account, and thus that person. If Instagram sees that you are engaging regularly with particular accounts, they’ll take it as a sign that you enjoy the content from that account and rank future content from that page higher up in your feed. Furthermore, they also take it as a sign that you have a relationship with that person, and maybe even know them in real life. Again, if you remember what I said earlier, one of the main goals of the Instagram is to present content from friends and family, and this is why Instagram needs a ranking factor to determine who you have a relationship with. Another thing the algorithm looks at when it comes to engagement is how many likes and comments a post has. Of course, the posts with the highest engagement will not always be presented at the top of your feed. Because that would mean presenting posts from celebrities at the top every time you log in (if you follow them) – but firstly, these aren’t friends and family, and secondly, it doesn’t mean that you want to see their posts most of all and that you find them the most interesting just because other people do. It’s understandable that Instagram takes this metric into consideration, though. A post with a lot of likes, views, comments, and interactions signals that it is an engaging and high-quality post which people find relevant. If a post receives a lower-than-usual engagement, it’s probably because the post isn’t engaging and high.quality. The most interesting part, though, is that Instagram uses engagement and interactions on the platform as a signal to determine your relationship with that account. If you comment and engage on many posts of an account, and are even tagged in their photos, this sends signals to Instagram that they probably fall into your “friends and family” category. 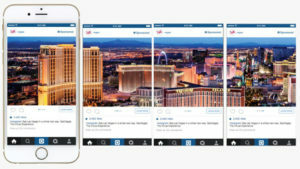 The bottom line is that Instagram is looking to present the most relevant posts in your feed, and it is in that process of determining what a relevant post is to you that Instagram has to develop all of the other ranking factors, which, essentially are more binary, because Instagram uses the other ranking factors to help determine relevancy. Instagram ranks content based on “past behavior on similar content and potentially machine vision analyzing the actual content of the post”. It’s not just about how much engagement a post receives. It’s also about how quickly it receives it. It is true that the time of when you post is no longer as important than to used to be with the chronological content. 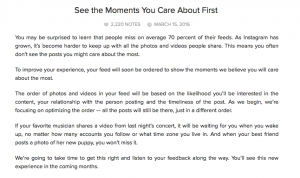 With the chronological feed, the reason to why people put a lot of emphasis on the time they posted was simple. Because the latest content ended up at the top of people’s feed, of course, you wanted to share your content at a time when most of your followers are active. Doing so meant getting higher engagement on your posts as more people saw them because they were actually awake and using Instagram. While the time of when you share a post isn’t as important as it used to be, it doesn’t mean that it is completely irrelevant. In fact, according to the spokesperson for Instagram, time is one of the algorithm’s ranking factors. This is not very surprising after all. When deciding how to showcase content in your feed, the algorithm will look at when the photo was posted. The reason for this is because: even though the Instagram algorithm focuses more on relevance, it doesn’t want to present content at the top of your feed that was shared days or even weeks ago. If they would, the post might not even be relevant anymore when you get to see it. For example, a brand shares a post informing their followers about a flash sale that only lasts for 24 hours, giving their followers 90% off on everything. What good would seeing the post three days after it has been posted do? Chances are, it will only make you frustrated. This is why the Instagram algorithm will prioritize recent posts. Of course, this also depends on how often you’re accessing the app. If you only open it once a week, or a few times a week, the algorithm tends to show older posts that you might have missed while you were away. But it will focus on the most relevant content in doing so. It’s important to remember that the relevance factor is still the major factor signal for ranking content, and this is also the reason why you might see posts that were shared 1 minute ago at the top of your feed, just like you might see content that was shard 5 days ago at the top. Before Instagram launched their Instagram algorithm, rumors started circulating, and because people were satisfied with the way it was, they saw no point in changing it and went to great attacks towards Instagram. Another Interesting criteria that Instagram uses is the number of times your post gets shared through Direct Message. While there isn’t any way to see how many times your post has been shared by other people through Direct Message, Instagram certainly keeps a record. When you send people ’s post through direct message, it is a sign that you enjoy their content, thus making future posts from them rank higher in your feed. If you have the signal ”relevancy” in mind, you’ll see that this factor is rooted in relevancy as well, just like the vast majority of ranking factors, so have this in mind. 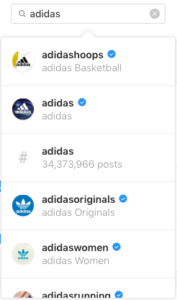 When you search for users in the Search and Explore tab, Instagram has yet another piece of information about what individuals or brands you find interesting. If you search for someone who you follow often, the algorithm will see this as a sign of relevancy, drawing the conclusion that ”This person is relevant to you. Let’s rank posts from this person higher in your feed”. The algorithm is more clever than just looking at how many likes a post receives, or how often you engage with posts from particular accounts. The algorithm also takes into account the time you spend looking at the posts in your feed. If you spend more time on a post, it is an indication to the algorithm that you enjoy it. This is not that strange, really. Apart from the algorithm looking at how much you engage with posts from a particular page, it tends to go a lot deeper than that. This means that it also studies what type of post it is you are sharing. For this, caption and hashtags are extremely helpful. That Instagram sees what type of content you engage with is no secret. In fact, this has been done long before the actual algorithm was introduced. To be even more specific, they’ll show you individuals from that particular industry. This means that if you’re engaging with accounts belonging to soccer players, Instagram is more likely to recommend similar accounts to you, for example in suggested accounts. The only difference now is that they’ve implemented this criteria into the algorithm that decides what you see in your timeline. So if you’re often engaging with posts from a different industry, genre, or niche, they’re more likely to present similar content in your feed more often. How often do you use the app? Another ranking factor of the Instagram algorithm is frequency. What this refers to is how often you use the app. A reason why this is a ranking factor is that if you’re away for long times between each login, the accounts you have followed will have shared lots of content since you last logged in, and this means that the Instagram algorithm has to work hard to find the content that really is the most interesting and appealing. If you, on the other hand, visit often, Instagram doesn’t have to filter the content that is being shared as much, because you’re using the app enough to have time to consume most of the content which people share either way. This also ties in with how much you use the app. This one is quite self-explanatory. The reason you follow an account is so that you get to see their posts in your feed. The catch is that the more accounts you follow, naturally, the more content will be fighting to be presented in your feed. Also, this means that the Instagram algorithm has to filter more aggressively to truly find the most relevant content. As such, the more accounts you follow, the fewer posts you’ll see from each account you follow. Along with the introduction of the Instagram algorithm, essentially every user on the platform started seeing quite a dramatic decrease in the engagement on their posts. This was also partly what caused the big protest against the algorithm, because who wants to see their average likes and average comments on their posts decrease significantly? I know I don’t, a and you’re not posting because you don’t want anyone to see your posts, right? You obviously want as many people as possible to see it, and it especially hurts to lose something that you used to have. But what is it that caused the engagement to decrease with the introduction of the Instagram algorithm? The main factors that decide what content you’ll see in your feed are the posts you interact with, as this is the number one tell that you enjoyed a post and found it relevant. This means the posts you like and comment on. There are also a few other highly important criteria which affect posts’ rankings in feeds, as just discussed. But what if you don’t comment, like, and engage? What happens then? The hard truth is that content you don’t engage with or hardly look at will slowly but surely be stop showing from your feed. Not a particular type of content, but content from specific accounts whose posts you don’t interact with, because when you don’t interact with their posts, it tells the Instagram algorithm that you don’t find posts from that account interesting (and probably isn’t friends or family with that person), and therefore, Instagram will stop showing posts from those accounts in favour for posts from accounts which you have shown an interest in. Eventually, you won’t see any posts from particular accounts which you don’t interact with. This is the main reason why the engagement is decreasing. Fewer and fewer people will see the posts you share as a result of not engaging with them. Of course, then there is the fact that no all posts are surfaced in your feed due to the immense noise on Instagram. With so many posts being shared every day on Instagram, there’s simply more content than there’s room in people’s feed, and time to consume it all, and thus, not all posts will be showcased in every single feed of the people who follow an account anymore. In fact, According to Instagram, in 2016, users shared an average of 95 million photos and videos per day. Considering that this was a time when Instagram had a total user base of 500 million, and Instagram now has a billion monthly active users, that number has most likely doubled by now. When Instagram was new, in its first years, users more or less saw 100% of the content shared by the accounts which they followed. This was because few posts were being shared, and the noise was almost non-existent. But as the number of posts that are being shared on the platform has increased, the engagement rate and total reach of your posts have decreased. In fact, a few years ago, it was estimated that only 10% of your audience is actually seeing your posts. Today, that number is estimated to be about 7%, with the number constantly decreasing. Posts from your best friends and the people you are engaging with the most will most likely always surface towards the top of your feed – keeping you from missing posts from them, however, a lot of posts from accounts you don’t interact with equally often will never meet your feed. With fewer people seeing your posts, obviously, your engagement will decrease accordingly. The debate and discussions about the organic reach declining as a result of the Instagram algorithm stir up a lot of emotions. The good news, however, is that it is not the end of organic reach on Instagram. If you are someone who is dependent on the organic reach on Instagram for business purposes or to continue building your brand and selling products, it’s crucial that you have a strategy in place for the future, because unfortunately, the organic reach will only continue to decrease as the number of posts being shared on the platform increases, and thus the competition of getting seen. The good news is that you don’t have to lay down flat on the ground and give up just because you’ve seen a slight decrease in the organic reach on Instagram. Instead, you should make the best of the situation and focus on strategies which can help boost your organic reach, and at the very least, help you get your engagement level back to the rate of which it was before the Instagram algorithm. This is obviously not an organic strategy, but it’s a surefire way of reaching people on Instagram. Of course, as a regular user, if you’re just using the platform for fun, it probably doesn’t make much sense to pay for exposure, however, if you’re a business, using Instagram ads is a good idea. Instagram ads have proven to be able to generate great results, much thanks to Instagram using the same advanced and developed ad platform that Facebook has, which enables Instagram to piggyback off of Facebook’s own success. The best part about Instagram ads is that you can target people with highly specific criteria in a way that was difficult before Instagram introduced ads on the platform in 2013. Instagram ads are also great for getting exposure without putting in countless hours into the platform. With Instagram ads, you can promote both an existing post of yours, or you can create a fully custom ad campaign with your own design and ad setup. Instagram uses the same ad interface as Facebook so if you’re familiar with Facebook, you won’t have a hard time navigating. Also, according to me, it’s a good idea that Instagram hasn’t started from scratch with their ads, and instead implemented everything they’ve learned from Facebook ads on Instagram. To learn more about your posts and their performance, go to your profile and tap the statistics icon located in the top right corner. Where you see the section “Posts” tap “See more”. Here you can choose to filter your posts based on time, what type of post it is, and what type of interactions they’ve generated. Preferably, you want to look at “Engagement”. Tap apply, and your posts will be arranged in your selected order. Nor, you’ll have all your top performing next to each other. When you do this, it’s often very easy to see similarities between the top performing posts and what they have in common. Often, it can be things such as brightness, color, or most importantly, the motive of the post. As the algorithm was introduced, the subject “shadow ban” has been a hot topic. What the shadow ban essentially means is that it blocks spam-like behavior when it comes to the use of hashtags, which causes the hashtags not to surface in search, thus leading to a decreased exposure, and accordingly also engagement. This means that it limits your reach to only be able to reach people within your own follower base. Then, of course, whether or not you are shadow banned, it’s important to use relevant hashtags. First of all, you want to make sure your hashtags are specific. This means making the hashtags you use less broad. This will help you be more specific in your hashtags, thus letting you reach people who really matter. For example, instead of using the hashtag #Car, use #FordFocus instead. Secondly, make sure your hashtags are up to date. 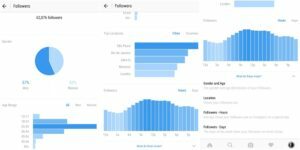 This means monitoring hashtags your competitors, followers, and customers are using and seeing if you could use them to connect with them. This also means keeping track of trends that might be worth hopping onto. Thirdly, make your hashtags relevant. Don’t just use any hashtags such as the “Top 30 Instagram hashtags” These are too generic and often heavily crowded. These hashtags will certainly not let potential customers find you. 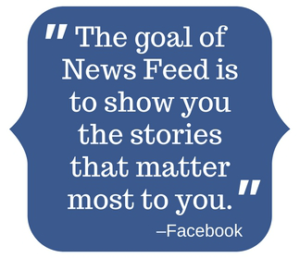 Unlike your feed, Stories are not yet saturated and is displayed at the top of your feed. Most people actually open and watch all of their stories in their feed, which means you can get much better reach and results by posting stories. TheAmplify is seeing 28% higher open rates on Instagram Stories compared with Snapchat. Also, influencers have reported seeing an average of 6-10% of their followers open their Instagram Stories every day. Compared to regular posts who often only see an average of 0.5-3% engagement, it is an incredibly high number. We’ve talked about how the algorithm takes the time of which you look at a post into consideration. A natural result would be to create content that keeps your audience’s attention for a longer period of time. Thankfully, we have boomerangs and videos (and a few other tricks) at our disposal to help achieve this. A boomerang is a mini video that replays itself over and over again. Because it takes more time to watch a boomerang than a regular photo (and they are often more interesting), they tend to keep the viewer at the post a few seconds longer. For the algorithm, every single second extra is valuable and might be what decides whether or not your post will be displayed in their feed. Slideshows, also known as carousels or “multiple posts” is a feature that lets you upload up to 10 photos or videos in once posts that your followers can slide through. If you want to beat the Instagram algorithm, crafting appealing, attention-grabbing, and interesting captions will do a lot for your retention rate and the time your audience views your post. Creating appealing Instagram captions is an art. To fully master it, I recommend you to read “How To Create Appealing Social Media Captions That People Will Read“. I really cannot emphasize just how important this single tactic for Instagram success is. It’s no secret that Instagram is a social media platform. This means that you’re meant to be social. And as you know by now, the single most important factor for making the Instagram algorithm work in your favor is to get people to engage with your posts on Instagram. What does this mean? It simply means that all, or the majority of your efforts should be focused on getting people to engage with tour posts. The single most effective strategy to increase your engagement is not by trying to manipulate the Instagram algorithm or any other strategy, but if you instead focus on leveraging regular organic tactics to make people more engaged in your posts and your brand, the Instagram algorithm will naturally reward you. Remember that in first hand, you shouldn’t focus on trying to hack the algorithm, but instead, you should use Instagram for what it is made for, and use social media as a relationship tool, and benefits will come. By engaging with your audience, you build relationships with them. This also means that they’ll naturally become more engaged in your brand and account. As a result, they’ll start engaging more with your posts. And what happens when people engage with your posts? They’ll rank better in their feed of course! Your goal is to get people to engage with your posts as much as possible, and a method to increase our engagement is to ask people to activate post notifications. Post notifications mean that every time you share a post on Instagram, people will get a notification. This is great news, because not only does this show Instagrams algorithm that your account is relevant to them, but it also ensures that even though your post ends up far down people’s feed, or not at all, they have a direct access to your post the second you share it. Best of all, if you remember that fast engagement also is important for success with the Instagram algorithm, this approach can also help you with not only getting more engagement but also engagement faster. Will Instagram take back the chronological feed? Despite rumors that have been circulating, Instagram won’t be returning to its chronological feed. At least not completely. Instagram has seen quite the success with its algorithm feed, which was a major update and investment in the future of Instagram, and so they won’t change it back to how it used to be. On March 22, 2018, however, Instagram made a new announcement. This announcement was that they were testing a “new posts” button as an addition to the Instagram feed. 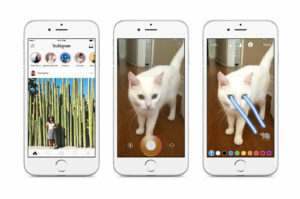 But Instagram has been very quiet with this feature, and so chances are, they didn’t find much success with it, and decided to abandon the idea. TechCrunch reported that Instagram “doesn’t want to add more complexity” because users might forget what feed they’re set to. Does switching to a business account lead to lower engagement? No, switching to a business account on Instagram won’t lead to you getting a lower engagement on your posts, even though it has been discussed and speculated that Instagram decreases the organic reach of business accounts in order to push them into buying ads on the platform. Does posting a lot and often hurt your Instagram algorithm performance? No, posting a lot or often won’t hurt your account when it comes to algorithm performance, however, what might happen is that Instagram won’t showcase all of your posts in all of your followers’ fees. Again, with the chronological feed, it was painful when people shared a ton of posts within a short time frame as you had to scroll past them all in your feed, but because Instagram doesn’t want that, the feed will only select one or two posts in people’s feed at max, but not necessarily the same posts for everyone, and so this means that in general, posting a lot of posts at once only means that you’ll generate a lower engagement on all of them. Try not to spam your followers and find your ideal posting frequency. Does posting videos on Instagram help my posts perform better? It is true that sharing videos on Instagram brought your posts a higher engagement, but posting videos on the platform doesn’t help for ranking your posts better in the algorithm. In other words, the Instagram algorithm doesn’t favor videos, however, videos are often even as more engaging and attention-grabbing, and as such, you might find that your videos get a higher engagement and also that people spend a longer time on them, thus giving your post a boost by the algorithm. The bottom line is that just sharing videos on Instagram has no benefits in the algorithm, however, if you share great videos, you can help work on factors which are used for ranking content well in people’s feed, and thus see a higher engagement. Will using new Instagram features help posts perform better? Okay, so this doesn’t seem too bad at all. But what about us stalkers that scroll through people’s feed without engaging? Nope, they will probably not be shown in your feed. Lastly, is the big change good or bad? It is up to you to decide. If you think about the part where you will see less spammy pictures in your feed and mostly get followers that really are engaged in your content – then sure. Have you used instagram before the time of the algorithm as well as after? What is your opinions and thoughts of it? How has the Instagramalgorithm affected you today? I’d love to hear about it in the comment section below!